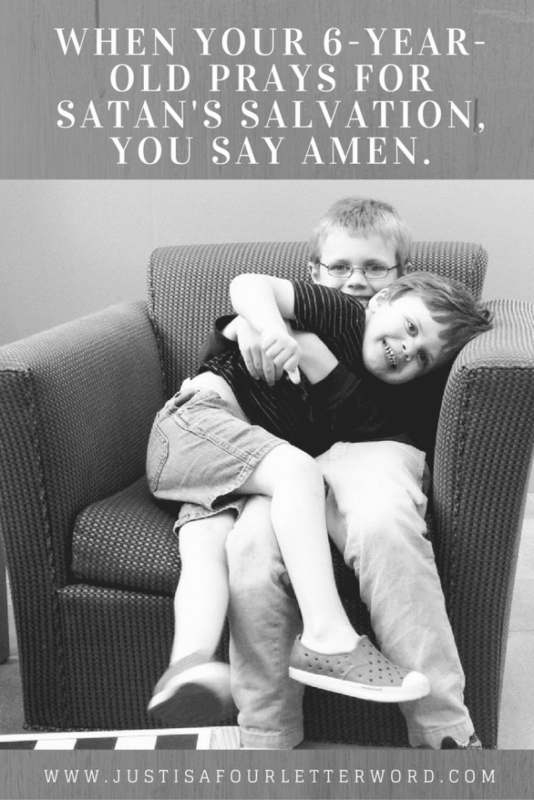 Home Parenting	When your 6-year old prays for Satan’s salvation, you say amen. I am learning more about the love of Jesus from my 6-year old than I have in the past (almost) 37 years of life on this earth. During his bedtime prayers lately, he has been praying that Satan will change his mind again and follow Jesus. You guys. My 6-year old is praying for Satan’s salvation. In my entire life, this thought has never even crossed my mind. My Oscar asks a lot of questions. He is so smart and he amazes me with the way he thinks of an issue from every angle. I don’t know how to answer him most days so when he has questions, we just sit and talk and think about the questions. We talk about God and heaven and what it will be like to see Him face to face. It’s important to me and Jerry that our children learn about faith and the Bible and Jesus and God and good and evil and all of these things at a young age. But it’s also important to us that the boys know that faith is a constant journey full of ups and downs, fears and doubts and that it’s ok to ask questions. It’s ok now and it will be ok when they are 36 or 86 or 100. We sent Oscar to a Christian school this year for Kindergarten. It was a decision we came to after a lot of soul-searching, praying and reality (read: denied applications to other schools). We loved that he would be getting some theology at school, but that wasn’t the main reason we sent him. They use the Montessori method in the classroom and after a difficult spring last year, we thought it would be the best choice for him. We’ve been so thrilled with his year at his school and we love them dearly, but we can’t really do private school long-term and especially not with both children. Next year, he will be in public school and while we are at peace with this decision as well, we know it will be a very different environment. Honestly, I don’t really feel like I am on top of my spiritual game these days either so I am taking this chance to just sit down with our boys and start at the very beginning. It’s a very good place to start. We love to read the Jesus Storybook Bible and I am hoping to read it together more regularly. 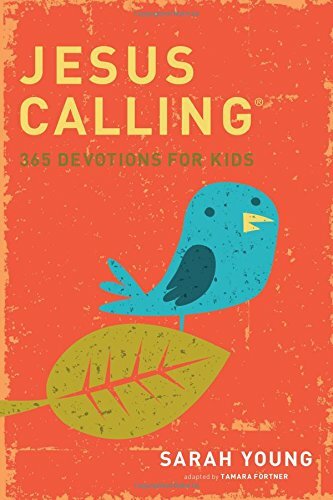 I also just ordered the highly recommended children’s devotional, Jesus Calling by Sarah Young and I am really excited about it. It’s aimed a little older than my boys but I want to have it in the house for whenever they seem ready. I bought this beautiful daily devotional years ago for my Kindle app and completely forgot I had it until recently. I’m excited to have a moment or two at the dinner table to read a paragraph each night. I love the images and the text isn’t overwhelming which is great for meal time. I accepted Jesus and started my faith journey at the age of 7. But I have spent my whole life learning what that means. Yes, it’s a decision and I truly chose this path. But it has been a path full of decisions right and wrong, silly and smart. What I want more than anything is to keep an open dialogue in this house and let the boys know that we don’t have all the answers. We trust in God. We have faith in His word. But when there are questions, we get to ask them without shame and if we don’t know the answers we can find them together. And then we can pray together for Satan’s salvation. Because why not? Love that you shared this. 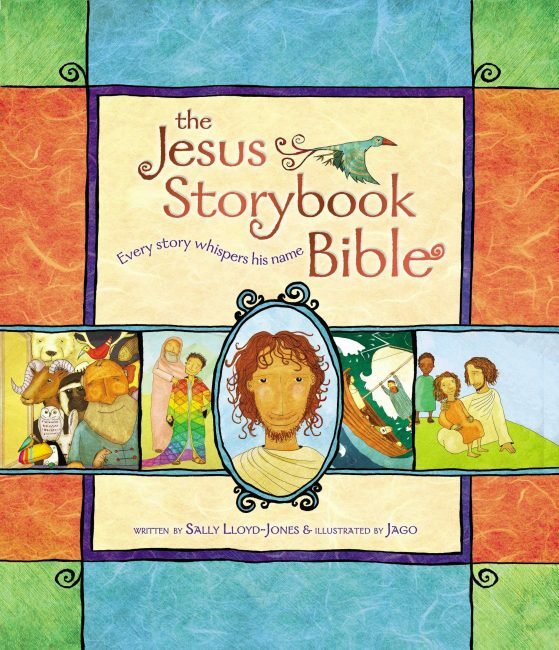 We have the Jesus Storybook Bible as well and have been considering Jesus Calling as well. My son went to parochial school for 3 yrs and I really believe that it shaped him into the compassionate boy he is today. I love that you call it an open dialogue. So many families we know are not open to dialogue or questions or anything other than the right/wrong that they have been taught. It’s important to let children come to their own conclusions and go down their own path. Oh, this is a good post! 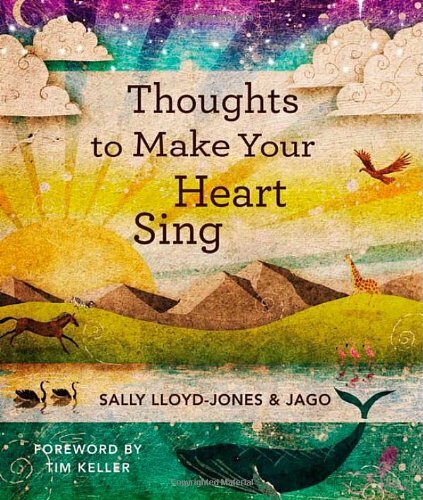 I’ll have to check out Thoughts To Make Your Heart Sing and Jesus Calling. Of course, the Jesus Storybook Bible is a staple in our family already! Thank you so much for sharing!